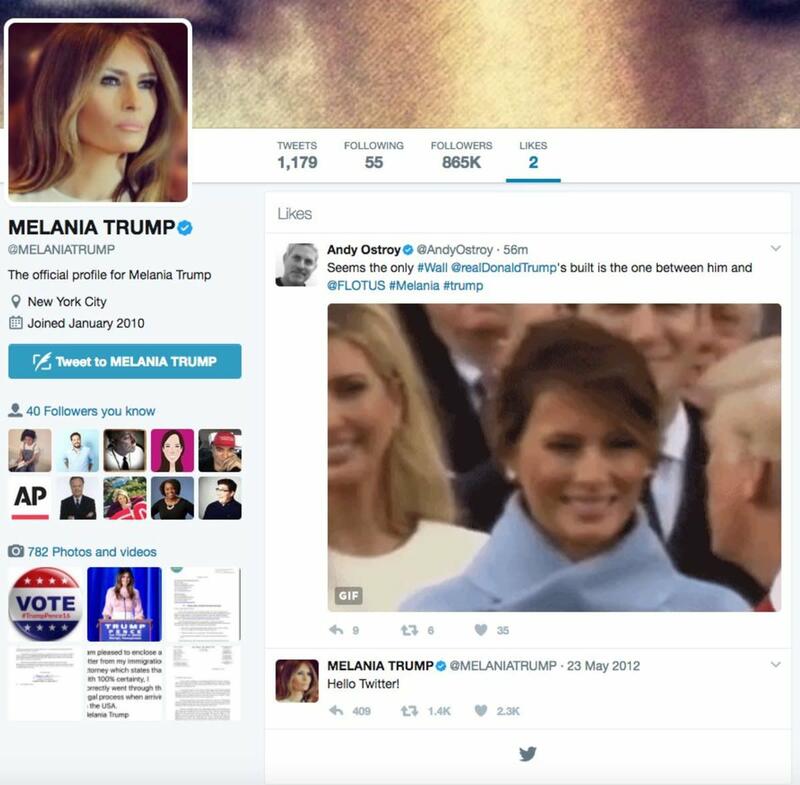 First Lady Melania Trump has liked a tweet which mocks her relationship with President Donald Trump. The tweet was posted on May 2 by writer and producer Andy Ostroy, the Daily Mail reported. 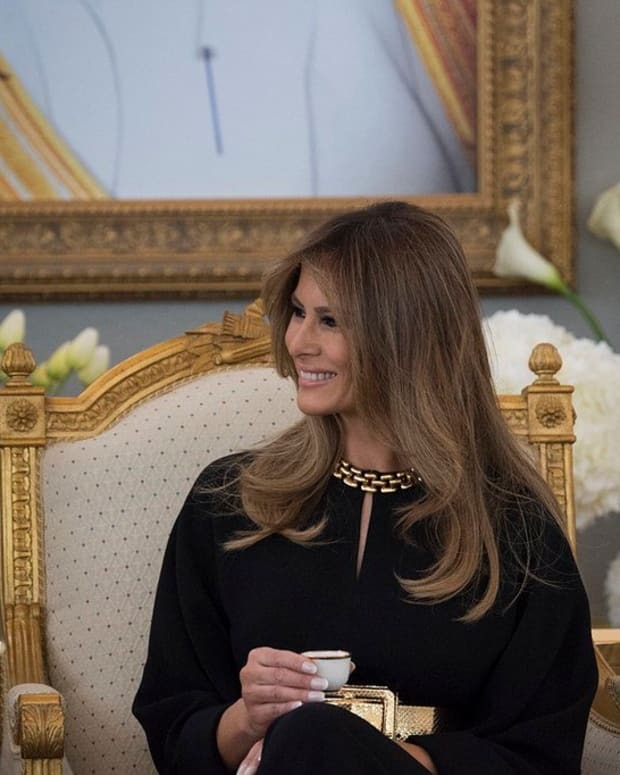 It featured a popular .gif image of Melania smiling at her husband, then frowning as soon as he turns around. 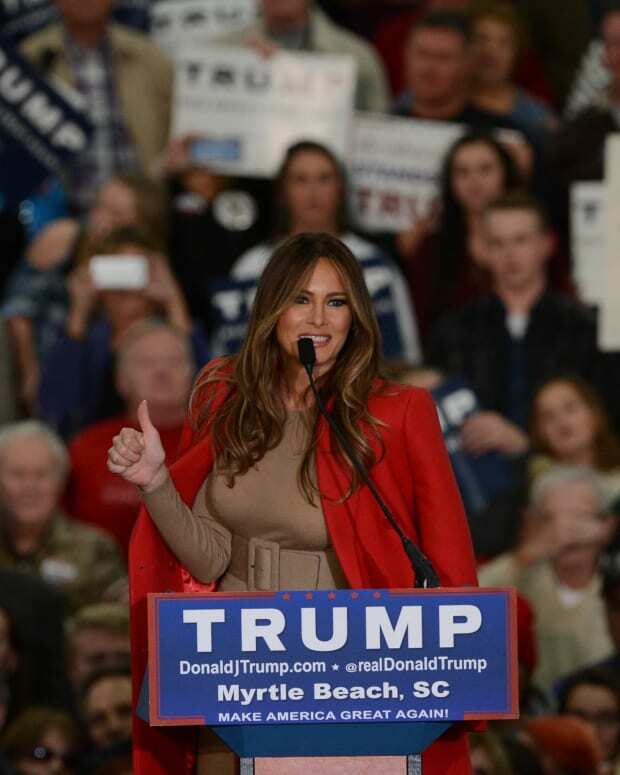 "Seems the only #Wall [Trump&apos;s] built is the one between him and ... #Melania #Trump," Ostroy tweeted. The tweet, it seems, got the attention of the first lady. 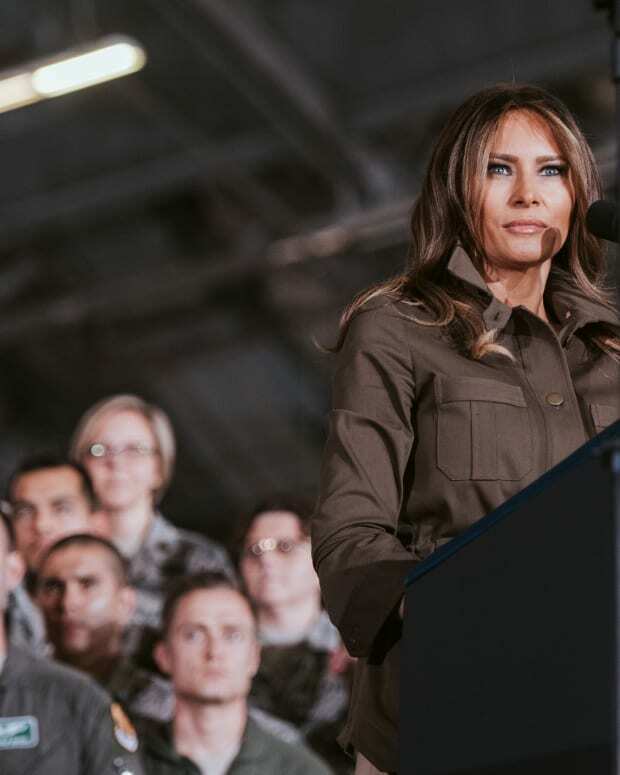 It was liked by Melania&apos;s official personal Twitter account. The alleged Twitter activity proves to be a rare occurrence for Melania. The only other tweet she has reportedly ever liked was her own tweet from 2012 that simply read "Hello Twitter!" Her last tweet from her personal account came on Nov. 8, 2016. She shared an image that read "Vote #TrumpPence 2016." Despite her inactivity on the popular social media app, Melania&apos;s personal Twitter account has been verified, and she has more than 866,000 followers. At first, Ostroy didn&apos;t believe the like came from the real first lady. 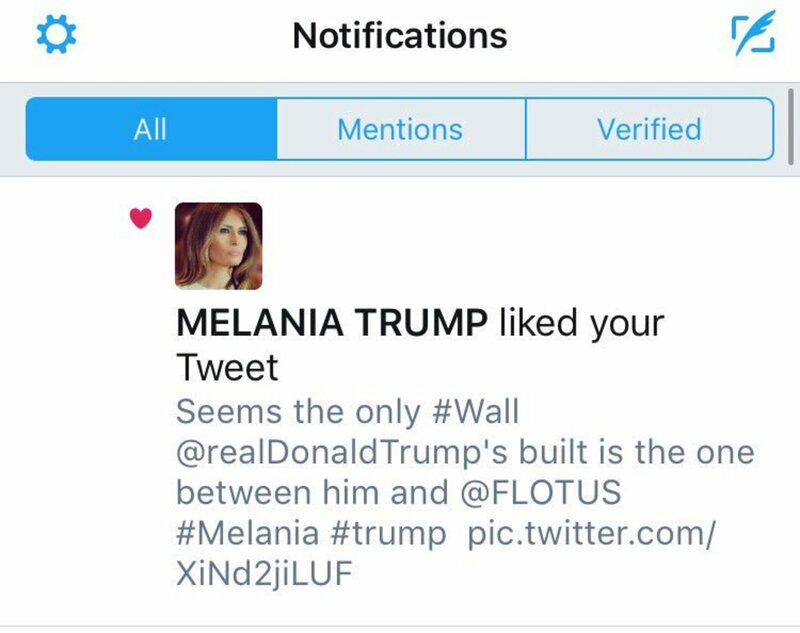 "I suspect this isn&apos;t a real account for [Melania]…," Ostroy tweeted, alongside a screenshot showing Melania liking the tweet. 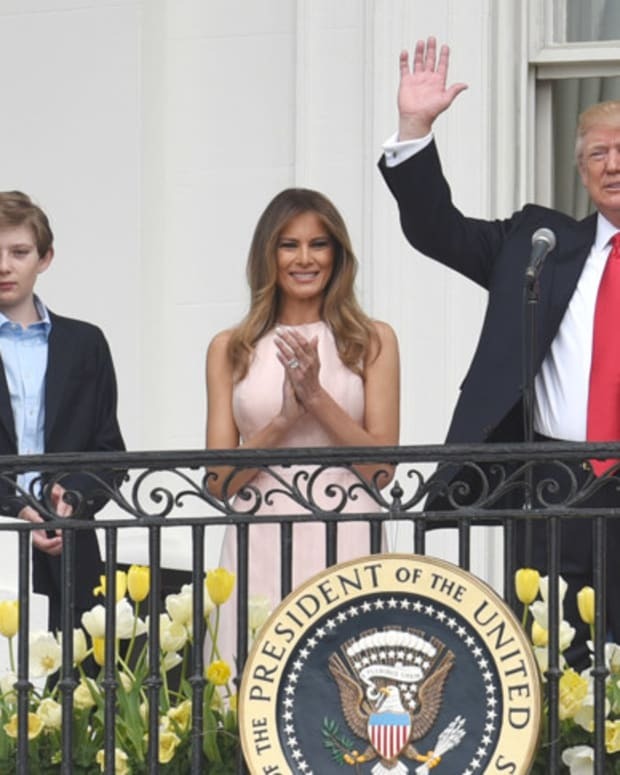 However, several Twitter users responded, pointing out that the account did in fact belong to Melania. 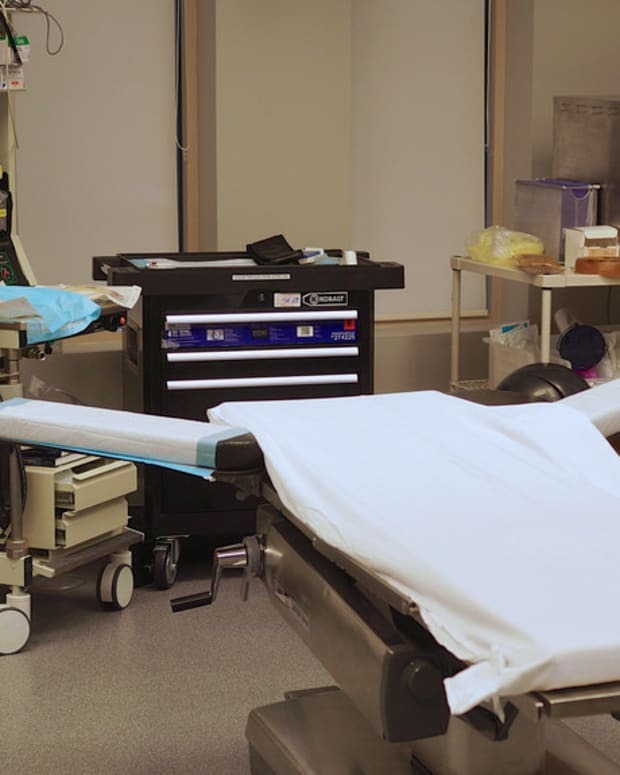 The like from her personal account eventually disappeared, but the damage was already done as the screenshot was shared all throughout social media. "The beauty/horror of a screenshot is that it lasts forever," tweeted one user, alongside a .gif of Kim Kardashian smirking. 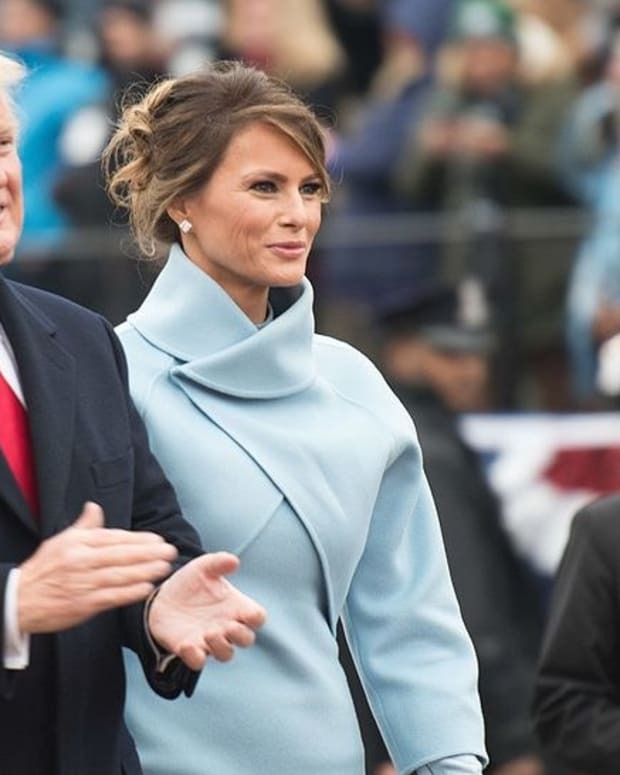 "For as much of a Twitter troll Trump is, Melania liking this tweet just might be the best trolling of 2017 so far," wrote another. "They&apos;re just going to say it was an accident and she doesn&apos;t know how to use Twitter," tweeted a third. "Nobody knew how hard Twitter is." 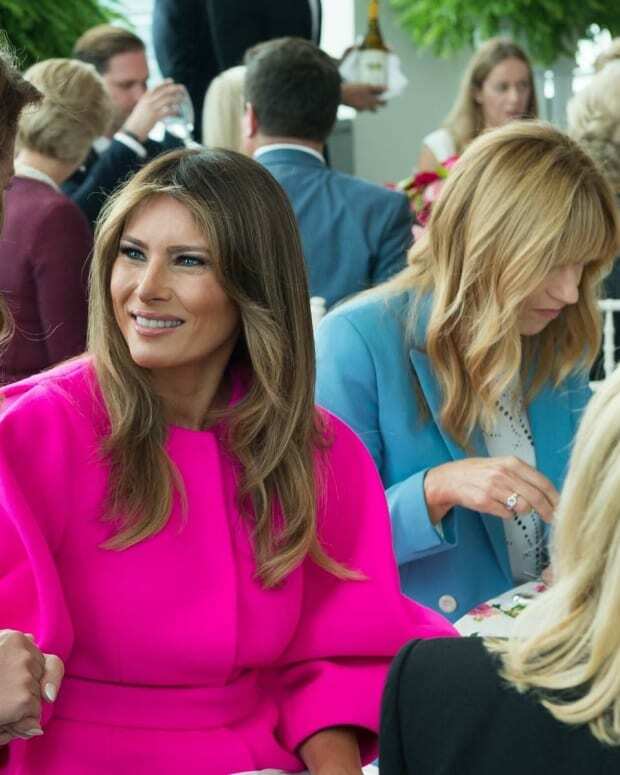 Other users suspected that the first lady&apos;s personal account may have been hacked, or that perhaps the like was a mistake by one of her associates. "Looks like she&apos;s now &apos;unliked&apos; it on her personal account. Doesn&apos;t show up anymore," tweeted one observer. "Must&apos;ve been from all the attention today." "Can we all just appreciate that the only tweet [Melania] has liked now is her own? I want that level of shamelessness," another quipped. "She&apos;s finally sending us a sign," tweeted another.